Both Demko and Hughes are going! Goaltending and blueline looking good so far. More concerned about the offense. Last edited by Per on Fri Apr 19, 2019 9:57 pm, edited 1 time in total. I assume first round exitees could reduce his contribution. I'm sorry Per, I can't leave this alone. What are they thinking. Do they think Pettersson can mentor him? My Gosh. örvånad förbluffad häpen överraskad /and then some. Sven Baertschi has said no to the World Hockey Championships, he was asked by the Swiss. In all due respect, Loui has scored 57 points (30G 27A) in 61 games playing for Sweden. The last time he played in a world championship tournament (2015) he had 10 points in 8 games. 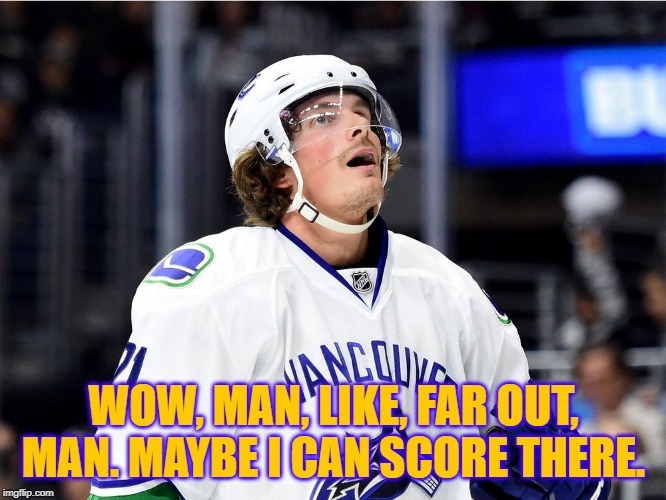 It's weird, he went from 63 points for the Bruins in 15/16, to just 24 in 16/17 playing for the Canucks. I've never understood what happened. And he had proven chemistry with the twins on the national team. It's just weird. Different system? Nagging injury? What happened? Schiefle (healing up), Horvat (getting married) and Hamonic (dad) have declined TC. Lots of game 7's coming up for future players avail.